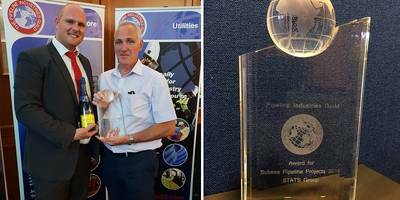 Pipeline technology company, STATS Group, has been awarded the Subsea Pipeline Projects Award by the Pipeline Industries Guild, for its BISEP technology. 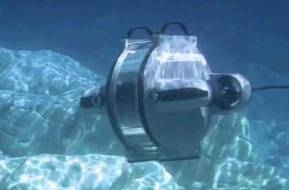 STATS has invested significant capital in developing its subsea BISEP® technology, which is installed when pressurized pipelines need isolation for repair, modification or tie-in activities. The BISEP technology provides fail-safe double block and bleed isolation deployed through a single hot tap fitting. The BISEP is the only hot tap installed plug to be fully certified by DNV GL to verify that the design criteria satisfy the requirements for pipeline isolation plugs to provide dual seal and isolation in accordance with offshore standards. STATS Group chief executive officer, Leigh Howarth said: “Over recent years we have focused our activity on developing equipment suitable for the subsea hot tapping and isolation market, recognizing the potential and scale of this market. “During this time STATS has completed four international subsea pipeline repair projects in a range of pipeline sizes, in the South China Sea, East China Sea, Gulf of Thailand and Gulf of Mexico. 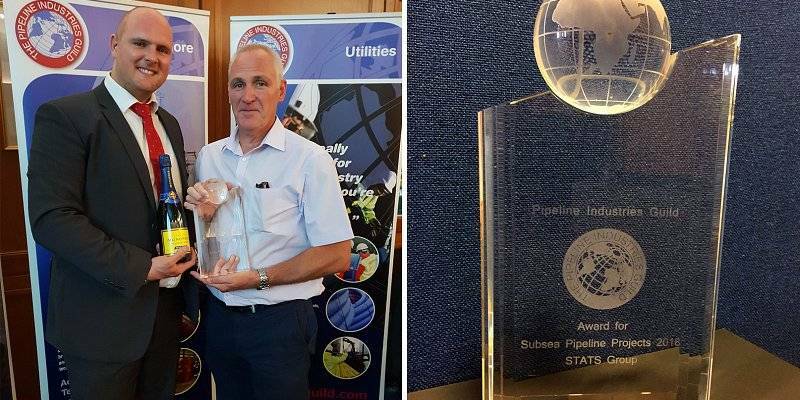 “We are delighted to be recognized by the Pipeline Industries Guild for our achievements in this field and the award is recognition to the commitment of the STATS team in introducing the BISEP to the subsea pipeline market.